During the 17th and 18th centuries, the Ohio River Valley proved to be a rich Agrarian region. Many different Native American peoples prospered from its land both in terms of the land’s ability to produce a wide variety of crops and its support of a wide variety of small fur-bearing animals for the fur trade. 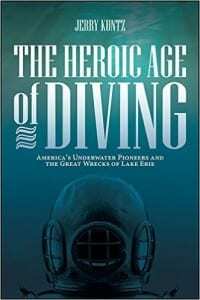 In The Heroic Age of Diving: America’s Underwater Pioneers and the Great Wrecks of Lake Erie (SUNY Press Excelsior Editions, 2016), Jerry Kuntz shares the fascinating stories of the pioneers of underwater invention and the brave divers who employed the new technologies as they raced with – and against – marine engineers to salvage the tragic wrecks of Lake Erie. 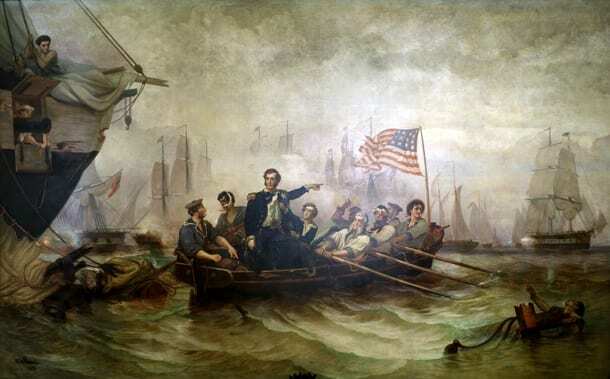 As the second summer of the War of 1812 was drawing to a close, the sea war with Britain that had enjoyed such notable success in its early months, had shifted from the open ocean to the Great Lakes. There were two reasons for this. 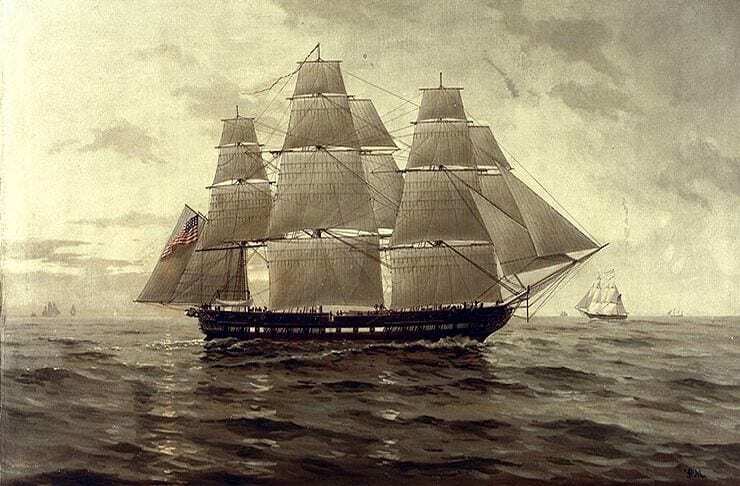 Stunning victories by USS Constitution over HMS Guerriere, the United States over the Macedonian and Constitution against Java had shocked the British. The Admiralty’s response to the American frigate victories was to use overwhelming numbers to control the seas. Orders were issued forbidding any more single ship engagements, and the British established blockade squadrons off the coast all the way to New Orleans. The British blockade on America had tightened, with 100 ships on station off the coast. It’s a phrase most of us use, without knowing much more than it connotes an air of struggle. A desperate struggle is exactly what was taking place when Captain James Lawrence of the USS Chesapeake made those words his final order – 200 years ago today. On Saturday, September 8, the Great Lakes Seaway Trail and New York Sea Grant will present Great Lakes Underwater at the Clayton Opera House, Clayton, NY. The 12pm-5pm program, co-sponsored by the NOAA National Weather Service, features four distinct speakers focused on history, shipwrecks and innovative technology for boaters. · “The Great Lakes Seaway Trail Blueway Water Trail & Innovations in Technology for Boaters, Canoeists and Kayakers” with New York Sea Grant Coastal Recreation and Tourism Specialist Dave White. Learn how new and future tools and apps based on the Great Lakes Observing System will benefit water trail users. This Great Lakes Underwater theme program makes the start of a new Great Lakes Seaway Trail Byway-Blueway Seminar Series. Pre-registration is requested by September 3. Tickets are $10 for adults, $8 for seniors age 62 or older and retired military with ID, $5 for children under 14, and free Blue Star admission for active military with ID. Day of the event seating is $15 for any remaining seats. This is a Yellow Ribbon event. For more information and to register, visit www.seawaytrail.com/dive or call 315-646-1000 x203. Robert “Bob” Hamilton is a meteorologist with the National Weather Service at Buffalo, NY. He is noted for presenting his research of the meteorological conditions that have impacted historic events, including shipwrecks. He presented his study of the weather influencing the time of the foundering of the HMS Ontario at the spring 2012 Great Lakes Meteorological Operational Workshop in Chicago. Douglas J. Pippin is an historical archaeologist who has studied the provisioning and frontier economy of the British military and displaced Loyalists during the American Revolution. He had conducted fieldwork at Fort Haldimand and at Loyalist settlements in the Exuma Islands in the Bahamas. He received his doctoral degree at Syracuse University. Dave White, a New York Sea Grant recreation and tourism specialist, has created several educational initiatives, including the “Dive the Seaway Trail” project. His Discover Clean & Safe Boating campaign earned White a BoatUS Foundation Environmental Leadership Commendation. This spring, he was among the invitation-only guests at the White House Community Leaders Briefing on the Great Lakes Region. Photo courtesy Great Lakes Underwater. As Nik Wallenda prepares to walk over Niagara Falls, the newest book in the Great Lakes Seaway Trail Guidebook Series – Sailors, Keepers, Shipwrecks, and The Maid – tells the stories of the Falls’ first tightrope walkers and other daredevils, the famous, and fascinating everyday people who have lived, worked, played and traveled along the Lake Erie, Niagara River, Lake Ontario and St. Lawrence River shorelines in New York and Pennsylvania. 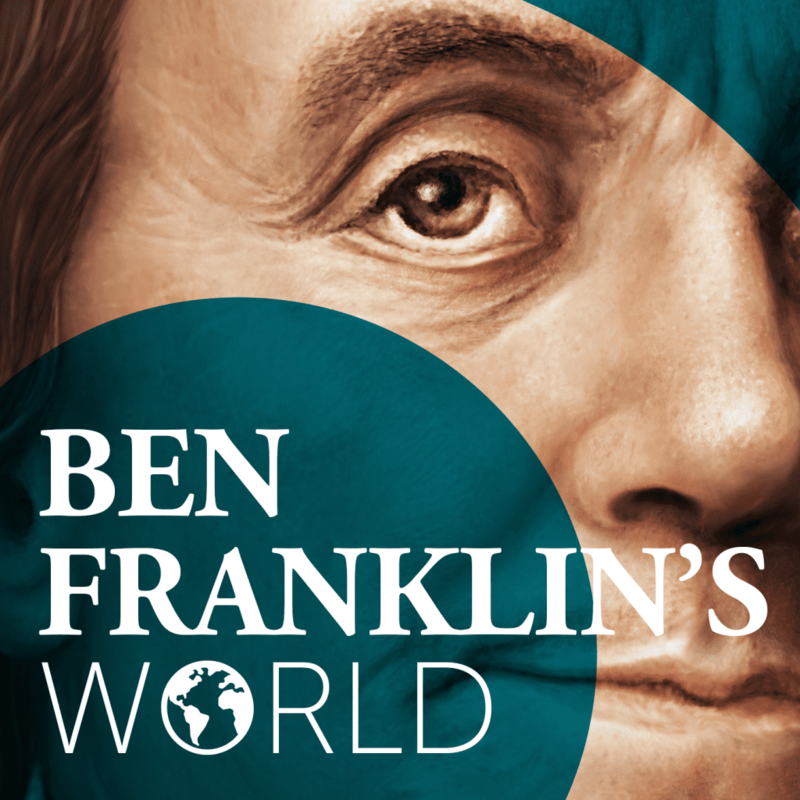 Readers will discover interesting details about American Presidents, pirates, pioneers, chefs, lighthouse keepers, artists, and adventurers in the collection of vignettes enhanced by historic photographs, art, illustrations and maps. The Maid in the new book’s title is the Maid of the Mist tour boat, a Niagara Falls tradition since 1846 and co-sponsor of the book project. The guide’s introduction encourages driving the full 518 miles of the National Scenic Byway and stopping at a series of Great Lakes Seaway Trail “Outdoor Storyteller” signs to learn more facts about local architecture, agriculture, maritime, military and natural history. The new book is written by Steve Benson and published by the nonprofit tourism promoter Seaway Trail, Inc., Sackets Harbor, NY. Benson is also co-author of Great Lakes Seaway Trail’s French and Indian War guidebook Waterways of Way: The Struggle for Empire 1754-1763. Learn more about the Great Lakes Seaway Trail series of travel guides voted “Best of the Byways” by the American Recreation Coalition online at www.seawaytrail.com or call 315-646-1000 x200. 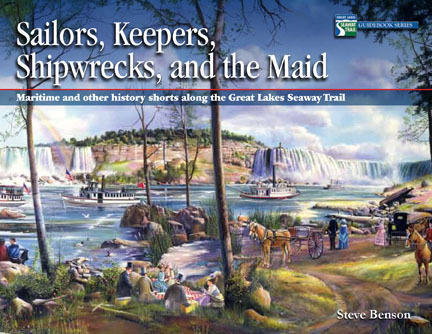 Lake Erie region stories in Sailors, Keepers, Shipwrecks, and the Maid include: tales of fish wars and Lake Erie’s fury, the Erie Triangle, Dan Rice and Daniel Dobbins, War of 1812 combatants, grape growers, Celeron’s many legacies, the Dunkirk Lighthouse and notable shipwrecks. 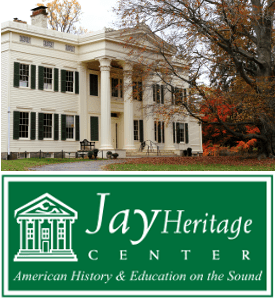 Rochester/Central Lake Ontario region stories include: War of 1812 heroine Bathshua Sheffield Brown (her ancestors operate Brown’s Berry Patch, Waterport, NY); Sam Patch, the Yankee Leaper; photography pioneer George Eastman, the Underground Railroad on Sodus Bay. Eastern Lake Ontario region stories include: Harriet Tubman and other Underground Railroad heroes, “The Big Cheese,” the War of 1812 Battle of Big Sandy, a female Commandant at Sackets Harbor, a tale of two wrecks, and The Whittlesey Woman. Thousand Islands/St. Lawrence River region stories include: skiffs, steamships, and yachts; pirate Bill Johnston; a Maple Island murder mystery; two castles; artist Frederic Remington, Fort de La Presentation, and the 1760 Battle of the 1000 Islands. The 2011 Great Lakes Seaway Trail Travel Magazine is now available with stories on wineries, the War of 1812, and enjoying a scenic drive on the 518-mile National Scenic Byway that parallels the St. Lawrence River, Lake Ontario, the Niagara River, and Lake Erie in New York and Pennsylvania. Photographs; a calendar of 110-plus events; a directory of attractions, accommodations and services; and the GPS coordinates for more than 100 Great Lakes Seaway Trail “outdoor storyteller” interpretive signs are also included in the 64-page, full-color magazine. The front cover of the 2011 edition of the annual glossy travel magazine features a tour boat approaching Boldt Castle in the 1000 Islands region of the byway. The back cover invites travelers to go geocaching on the byway to collect five elegant Great Lakes Seaway Trail collectible geocoins. Great Lake Seaway Trail Director of Business Relations Kurt Schumacher says the travel magazine is now reaching new markets. 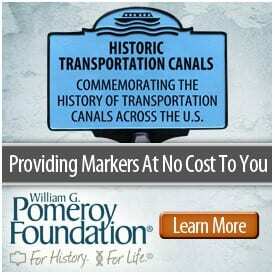 “In addition to finding the Great Lakes Seaway Trail Travel Magazine at our member sites along the byway, distribution for the guide now includes high-traffic information and welcome centers on interstate routes in New York and Pennsylvania; locations in Kingston, Niagara Falls, Ottawa, and Toronto, Ontario, Canada; and AAA offices in Ohio,” Schumacher says. The Great Lake Seaway Trail Travel Magazine is also included in Relocation Readiness packets for soldiers arriving at Fort Drum, NY, and in physician recruiting packets developed by Oswego Health, which operates Oswego Hospital, a skilled nursing facility, and a retirement living site in Oswego, NY. 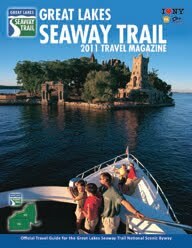 A digital version of the Great Lakes Seaway Trail Travel Magazine is online at www.seawaytrail.com/travelmagazine. During the War of 1812 the dogs of war barked and bit along the U.S. northern frontier from Lake Ontario to Lake Champlain as American forces tangled with their British and Canadian counterparts for two-and-a-half years. 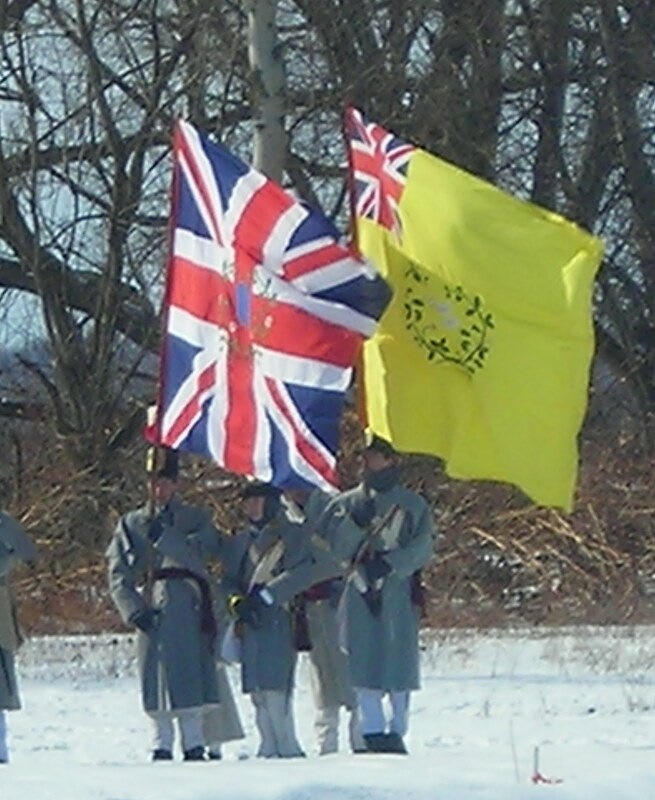 The War of 1812 in this region, and its wider implications, will be topics at the third annual War of 1812 Symposium April 29-30 in Ogdensburg, NY, sponsored by the Fort La Présentation Association. The cost of the symposium is $100 for the Saturday seminars and after-dinner speaker, including a light continental breakfast, a buffet lunch and a sit-down dinner. The Friday evening meet-and-greet with period entertainment by Celtic harpist Sue Croft and hors d’oeuvres is $10. The symposium and dinner fee for Fort La Présentation Association members is $90, and they will pay $10 for the meet-and-greet. Other pricing options are available: $80 for the Saturday seminars without dinner; and $35 for the dinner with speaker. Seminar details and registration instructions on the Fort La Présentation Association webpage. The Freight House Restaurant in Ogdensburg will host the symposium, as it has in previous years. The Fort La Présentation Association is a not-for-profit corporation based in Ogdensburg, New York. 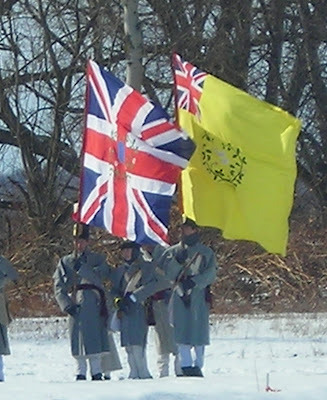 Its mission is to sponsor or benefit the historically accurate reconstruction of Fort de la Présentation (1749) in close proximity to the original site on Lighthouse Point. Darren Bonaparte from the Mohawk community of Ahkwesáhsne on the St. Lawrence River is an historical journalist. He created the Wampum Chronicles website in 1999 to promote his research into the history and culture of the Rotinonhsión:ni—the People of the Longhouse. Mr. Bonaparte has been published by Indian Country Today, Native Americas, Aboriginal Voices and Winds of Change, and he has served as an historical consultant for the PBS miniseries The War That Made America; Champlain: The Lake Between; and The Forgotten War: The Struggle for North America. Paul Fortier, of Kingston, ON, worked 10 years as a military curator and historian for Parks Canada and a following 10 years as a manager at the National Archives of Canada. While living in Prescott, ON, the home he restored was the Stockade Barracks, British military headquarters on the St. Lawrence River during the War of 1812. Mr. Fortier is a founder of the re-enacted Regiment of Canadian Fencible Infantry. He owns Jessup Food & Heritage, providing period food services at Upper Canada Village, Fort Henry and Fort York. Kate Kenney is the Program Historian at the University of Vermont Consulting Archeology Program. She supervises historic artifact analysis and also helps supervise field work, particularly at historic sites. She is the senior author of Archaeological Investigations at the Old Burial Ground, St. Johnsbury, Vermont. Ms. Kenny has organized and conducted UVM CAP public outreach, including presentations to elementary and high school students. Personal research projects involve Vermont history from the earliest settlement through to the Civil War. Richard F. Palmer of Syracuse is a senior editor of “Inland Seas,” the quarterly of the Great Lakes Historical Society, and has written some 40 articles for the publication, covering more than 250 years of Lake Ontario’s maritime history. His presentation on “Cooper’s Ark,” is the story of a short-lived floating fortress built in Oswego during the War of 1812, but lost in a storm while sailing to Sackets Harbor. He’ll also recount the attempt to raft lumber for the construction of ships from Oak Orchard to Sackets Harbor; the delivery was intercepted by the British. Victor Suthren, from Merrickville, Ontario, is an author and historian. He served as Director General of the Canadian War Museum from 1986 to 1998, and is an Honorary Captain in the Canadian Navy and advisor to the Directorate of Naval History and Heritage, Department of National Defence (Canada). He has worked as an advisor to film and television productions and has voyaged extensively as a seaman in traditional “tall ships.” Mr. Suthren has published several works of historical non-fiction, as well as two series of historical sea fiction. Patrick Wilder is an historian retired from the New York State Office of Parks, Recreation and Historic Preservation. He is the author of The Battle of Sackett’s Harbour, 1813. Photo: Canadian Fencibles Colours, courtesy Fort La Présentation Association. The discovery of the Great Lakes’ oldest confirmed shipwreck – a British warship used in the American Revolution – is the keynote presentation for the March 6, 2010 Great Lakes Underwater conference at SUNY Oswego, Oswego, NY. Underwater explorer Jim Kennard, who might be called the “Great Lakes Jacques Cousteau,” will share the story of how he and diving partner Dan Scoville located the HMS Ontario. 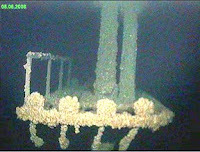 Kennard and Scoville found the sloop-of-war in 500 feet of water May 2008. She was on her way from Fort Niagara in Youngstown, NY, to Oswego and Fort Haldimand on Carleton Island in the St. Lawrence during the Revolutionary War when she sunk in a gale on October 31, 1780. The ship is considered property of the British Admiralty and is to be left undisturbed as a war grave site. Those attending the Great Lakes Underwater event hosted by New York Sea Grant and the Oswego Maritime Foundation will see a video of the fascinating 229-year-old, 80-foot-long, 22-gun ship and hear the details of her discovery using deep-water sonar scanning. The video images will reveal how well the deep, cool Great Lakes’ water of Lake Ontario preserved her two crow’s nests, carved bow, quarter galleries, anchors and upright masts. 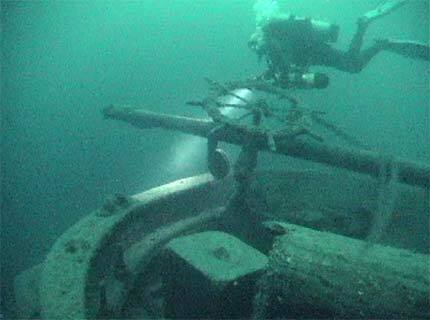 In just the past six years, Kennard has discovered 12 historic and rare shipwrecks in Lake Ontario. In his 40-year career, he counts more than 200 discoveries total exploring in Lake Champlain, the Finger Lakes, and the Mississippi and Ohio Rivers. Great Lakes Underwater 2010 will be held in the high-tech SUNY Oswego Campus Center Auditorium. Registration for Great Lakes Underwater is $25 ($20 for students) payable to Cornell University and includes the program, buffet lunch, and refreshments. For more information, contact New York Sea Grant, SUNY Oswego, Oswego, NY 13126, 315-312-3042, www.oswegomaritime.org/glu.html. Photo: One of two crow’s nests on the HMS Ontario; courtesy Jim Kennard and Dan Scoville. The National Oceanic and Atmospheric Administration has placed online the annual reports of the United States Fish Commission, also known as the United States Fish and Fisheries Commission, from 1871-1940 and 1947-1979 in PDF format. The Commission was also part of the United States Fish and Wildlife Service and these annual reports present comprehensive overview of the U.S. Fish Commission’s activities for each year. The reports are helpful for historians of commercial fishing areas in New York State including Long Island, the lower Hudson River, the St. Lawrence River, and Lake Erie. The entire collection can be found here. The U. S. Fish Commission was established in 1871. By 1881 the Commission was known as the U.S. Fish and Fisheries Commission. The Bureau of Biological Survey was established in 1885. In 1903 the name was changed to Bureau of Fisheries. The Bureau of Fisheries was transferred on July 1, 1939, from the Department of Commerce to the Department of the Interior. In 1940 the Bureau of Fisheries and the Bureau of Biological Survey were consolidated to form the Fish and Wildlife Service. Beginning in July 1946, during the transition from war to peace, the Annual Report became a series of Quarterly Reports which presented a summary of bilogical investigations conducted by the Division of Fishery Biology and a general resume of progress of investigations during the entire year. 1957 was the last issue of Annaul Reports of the Fishery Biology, Department of Interior. The Fish and Wildlife Act of 1956 created the Bureau of Commercial Fisheries and the Bureau of Sport Fisheries and Wildlife within the Fish and Wildlife Service, Department of Interior. The Report of the Bureau of Commerical Fisheries for the Calendar Year 1958… (published in 1962) was the first report for calender year 1957 and reviewed, in detail, the organization of the Bureau, the history of fishery administration and the operation of the Bureau’s predecessor organizations, U.S. Fish Commission and the U.S. Bureau of Fisheries. The Report of the National Marine Fisheries Service for Calendar Year 1970-1971 covers the period of transition of the Federal fisheries agency from the Deparment of Interior to the newly formed National Oceanic and Atmospheric Administration, Department of Commerce. 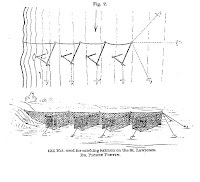 Photo: A diagram of a gill net used for Salmon on the St. Lawrence River from the 1871 U. S. Fish Commission annual report.